There we have it folks, Les Blues has did it! France is crowned the 2018 World Cup winners and would be the first time in 20 years since they last won it in 1998. Congratulations to the French for an epic 4-2 finale against Croatia who gave it their all in their first World Cup finals appearance. We’ll see you back here again in 4 years for the 2022 World Cup in Qatar. 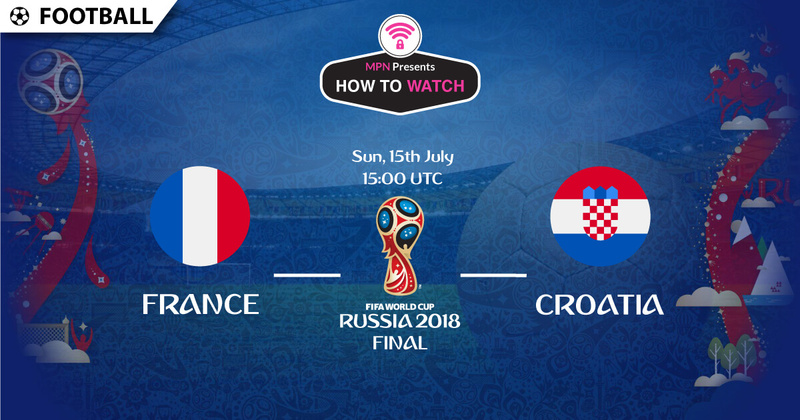 The France v. Croatia finals are kicking off this 15th of July @ 15:00UTC! 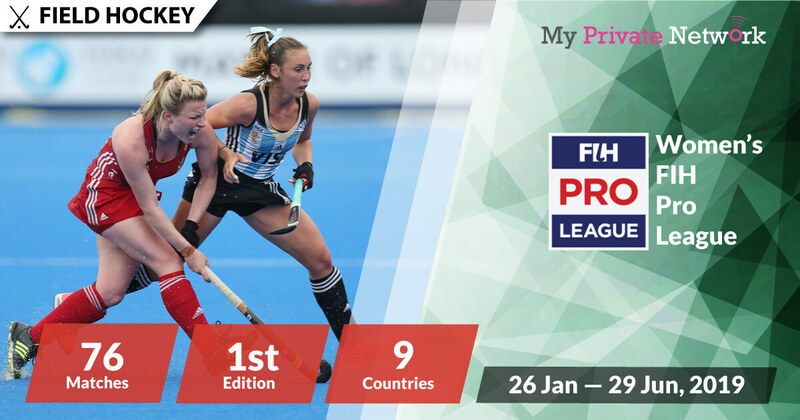 With the 3rd place match playing a day before for home favourite’s, England against Belgium @ 14:00UTC. See the full bracket here. We’re in the Semi-finals! First up on 10th of July, we have Belgium v. France @ 18:00UTC. Then the next day on 11th of July, we’ll have Croatia v. England @ 18:00UTC. See the full bracket here. We’re in the Quarter-finals! Starting from 6 July, the 8 last teams are seeking a determining win to place them in the Semis next week. First up, we have Uruguay v. France @ 14:00UTC and Brazil v. Belgium @ 18:00UTC. Then the next day, 7 July we’ll have Sweden v. England @ 14:00UTC and Russia v. Croatia @ 18:00UTC. See the full bracket here. After a grueling and surprising Group Stage, we’re now in the Knockouts! Starting tomorrow from 30 June till 3 July, don’t miss the best teams battle it out for a spot in the Quarter-finals. Football. Futbol. Voetbal. Futebol. Fußball. Fotboll. Calcio. Soccer. Whatever you want to call it, there’s no bigger sporting event than the 2018 FIFA World Cup! Billions of people worldwide will be tuning in to support their national team or simply just to enjoy the most epic football tournament ever played. This year will mark the 21st edition of the FIFA World Cup which will be held across 13 cities in Russia. The providers in this list with links have been tested to work with our VPN. Click on any that you prefer to quickly access streaming instructions. The providers in this list have not been tested to work with our VPN. However, please feel free to give them a go after connecting our VPN to that country. Click here for the full list of official FIFA World Cup broadcasters. Source: BBC Sport Official YouTube Channel. For official videos from FIFA, visit their YouTube channel here. Live stream starting on 14 June (Thursday) at 15:00UTC. Know your timezones? Use WorldTimeBuddy.com if you want to check your timezone accurately. Our timezone is set to UTC. Note: (A) Advance to a further round; (E) Eliminated; (H) Host. Updated official pool standings from FIFA here. Official World Cup Page Here. Broadcasting rights for the World Cup is far reaching with almost all countries around the world providing streams in one form or another. However, if you’re not currently in your home country or your stream is geo-restricted, then you’ll need to connect our VPN to that country first before attempting to stream. 2) Install our VPN on any device that you’ll be using to watch the 2018 FIFA World Cup. 3) Connect to our UK (GBR) servers for BBC and iTV. For other providers, simply connect to the appropriate country such as Canada (CAN) for TSN, Australia (AUS) for SBS and so forth. The guides below also includes the country that you’ll need to connect to. Broadcast rights are shared with iTV — watch 33 live games from BBC iPlayer for free. Whilst BBC doesn’t charge for their content, you’ll still need a BBC account to access them. Learn how to sign up for free here. Availability: U.K only – Connect to our U.K (GBR) servers first before starting the stream! 1) Head to the BBC website or download the BBC iPlayer app on iOS or Android. Tip: World Cup will be airing live from 15 June 2018 on BBC 1 and BBC Radio 5 Live Sports Extra. 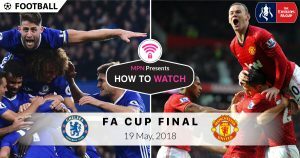 Full schedule of games streaming on BBC and iTV. BBC’s World Cup Broadcast News. Click here for a direct link to BBC Radio 5 Live Sports Extra. Broadcast rights are shared with BBC — watch 32 live games from iTV for free. 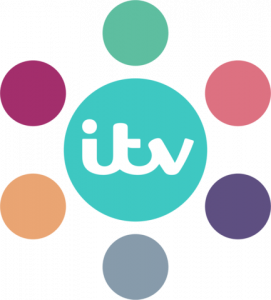 Whilst iTV doesn’t charge for their content, you’ll still need a iTV account to access them. Learn how to sign up for free here. Availability: U.K only – Connect to our U.K (GBR) servers first before starting the stream! 1) Head to the iTV Hub website or download the iTV Hub app on iOS or Android. Tip: World Cup will be airing live from 14 June 2018 on iTV. Full schedule of games streaming on iTV and BBC. iTV’s World Cup Broadcast News. Click here for a direct link to iTV 1. Watch 25 live games from SBS for free. For the full 64 live games, you will need a paid subscription with SBS’s Optus channel. Whilst SBS doesn’t charge for their free content, you’ll still need a free SBS account to access them. Availability: Australia only – Connect to our Australia (AUS) servers first before starting the stream! Tip: World Cup will be airing live from 14 June 2018 on SBS TV. Full schedule of games streaming on SBS. SBS’s World Cup Broadcast News. Click here for a direct link to SBS TV. Broadcast rights are shared with ZDF — watch 32 live games for free with German commentary from ARD. Availability: Germany only – Connect to our Germany (DEU) servers first before starting the stream! 1) Head to the ARD website. Tip: World Cup will be airing live from 14 June 2018 on ARD’s Sportschau. Full schedule of games streaming on ARD and ZDF. Broadcast rights are shared with ARD — watch 32 live games for free with German commentary from ZDF. Availability: Germany only – Connect to our Germany (DEU) servers first before starting the stream! 1) Head to the ZDF website or download the ZDF Mediathek app on iOS or Android. Tip: World Cup will be airing live from 16 June 2018 on ZDF. Full schedule of games streaming on ZDF and ARD. Detailed schedule PDF of games streaming on ZDF and ARD. Click here for a direct link to ZDF. Watch 28 live games from TF1 for free. Whilst TF1 doesn’t charge for their free content, you’ll still need a free TF1 account to access them. Availability: France only – Connect to our France (FRA) servers first before starting the stream! 1) Head to the TF1 website or download the TF1 app on iOS or Android. Tip: World Cup will be airing live from 14 June 2018 on TF1 Live. Full schedule of games streaming on TF1 via LiveSoccerTV. TF1’s World Cup Broadcast News. Click here for a direct link to TF1 Live. Broadcast rights are shared with SIC — watch 21 live games from RTP for free. Availability: Portugal only – Connect to our Portugal (PRT) servers first before starting the stream! 1) Head to the RTP website. Tip: World Cup will be airing live from 14 June 2018 on RTP 1. Full schedule of games streaming on RTP. Click here for a direct link to RTP 1. Broadcast rights are shared with RTP — watch 8 live games from SIC for free. Availability: Portugal only – Connect to our Portugal (PRT) servers first before starting the stream! 1) Head to the SIC website. Tip: World Cup will be airing live from 16 June 2018 on SIC. Click here for a direct link to SIC Live. Broadcast rights are held by Swisscom which are offered on SRG’s SRF, RSI, and RTS channels — watch 56 live games from these channels for free. Availability: Switzerland only – Connect to our Switzerland (CHE) servers first before starting the stream! 1) Head to the SRF, RSI or RTS websites. Tip: World Cup will be airing live from 14 June 2018 on SRF ZWEI, RSI LA2, and RTS deux. Full schedule of games streaming on SRF via LiveSoccerTV. SRG’s World Cup Broadcast News via What HiFi. Click here for a direct link to SRF ZWEI (German commentary). Click here for a direct link to RSI LA2 (Italian commentary). Click here for a direct link to RTS deux (French commentary). Watch 27 live games from 1TV.ru for free. Availability: Russia only – Connect to our Russia (RUS) servers first before starting the stream! 1) Head to the 1TV.ru website. Tip: World Cup will be airing live from 14 June 2018 on 1TV.ru. Full schedule of games streaming on 1TV.ru. 1TV.ru’s World Cup Broadcast News. Click here for a direct link to 1TV.ru. Watch all 64 live games from SonyLIV for free (with 5 minute delay). Availability: India only – Connect to our India (IND) servers first before starting the stream! Tip: World Cup will be airing live from 14 June 2018 on SonyLIV. Live games will only be displayed accordingly when the match starts. Click here for a direct link to SonyLIV’s Live Sports. Broadcast rights are shared with RTM but are mainly held by the premium provider, Astro — watch 27 live games from RTM for free. RTM also provides another 14 matches but with a delay. Availability: Malaysia only – Connect to our Malaysia (MYS) servers first before starting the stream! 1) Head to the RTM website or download the RTM app on iOS or Android. Tip: World Cup will be airing live from 14 June 2018 on RTM TV2 and RTM TV1. Full schedule of games streaming on RTM via SoyaCincau. Click here for a direct link to RTM TV1. Click here for a direct link to RTM TV2. Watch all 64 live games from DirecTV. However, you’ll need a paid subscription with them to access their content. Availability: Argentina only – Connect to our Argentina (ARG) servers first before starting the stream! 1) Head to the DirecTV Argentina website or download the DirecTV Latin app on iOS or Android. Tip: World Cup will be airing live from 14 June 2018 on DirecTV Argentina. DirecTV’s FIFA World Cup Programme. Watch all 64 live games from Sport TV. However, you’ll need a paid subscription with them to access their content. Availability: Brazil and Portugal only – Connect to our Brazil (BRA) or Portugal (PRT) servers first before starting the stream! 1) Sign in to your SportTV account. Tip: World Cup will be airing live from 14 June 2018 on Sport TV 1. Watch all 64 live games from Fox Sports. However, you’ll need a paid subscription with them to access their content. Availability: Brazil and U.S only – Connect to our Brazil (BRA) or U.S (USA) servers first before starting the stream! 1) Sign in to your Fox Sports U.S or Fox Sports Brazil account or download the Fox Sports app on iOS or Android. For Brazil users, download Fox Sports Latin app for iOS or Android. Tip: World Cup will be airing live from 14 June 2018 on Fox Sports. Full schedule of games streaming on Fox Sports. Watch all 64 live games from TSN. However, you’ll need a paid subscription with them to access their content. Availability: Canada only – Connect to our Canada (CAN) servers first before starting the stream! Tip: World Cup will be airing live from 14 June 2018 on TSN 1 and TSN 2. Full schedule of games streaming on TSN. Watch all 64 live games from beIN Sports. However, you’ll need a paid subscription with them to access their content. Availability: Egypt, France, and Saudi Arabia only – Connect to our Egypt (EGY), France (FRA), or Saudi Arabia (SAU) servers first before starting the stream! Tip: World Cup will be airing live from 14 June 2018 on beIN Sports HD 3 Max. Full schedule of games streaming on beIN Sports. Watch all 64 live games from Sky Sport. However, you’ll need a paid subscription with them to access their content. Availability: New Zealand only – Connect to our New Zealand (NZL) servers first before starting the stream! Tip: World Cup will be airing live from 14 June 2018 on Sky Sport 3 and Sky Sport 4. Full schedule of games streaming on Sky Sport. Click here for a direct link to Sky Sport 3. Click here for a direct link to Sky Sport 4. We hope you found this article informative and useful. Please feel free to share it with your friends or family that want to watch the FIFA World Cup too!